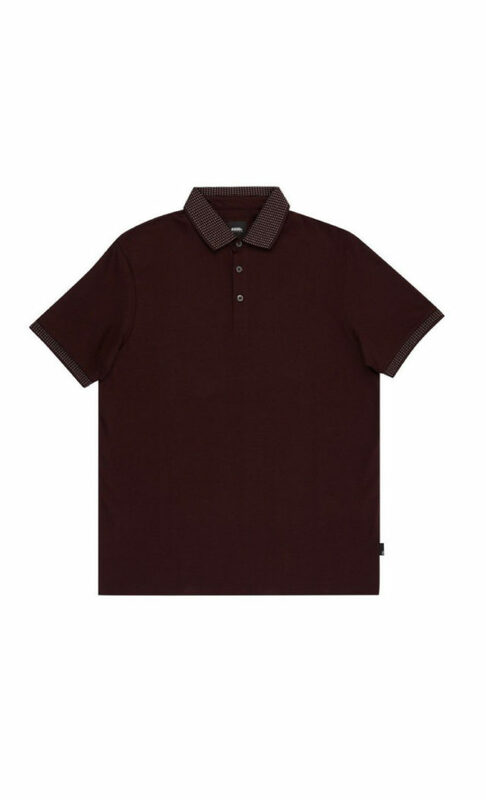 This classic polo shirt comes in burgundy with a jacquard pattern collar and sleeve cuffs. These contrast touches add quality and style, and dyed-to-match buttons create a clean finish. Wear with navy chino’s for a look that’ll take you from day to night.